Class lists for 2015 will be done in a slightly different fashion. To make this process easier for the SSOs the following procedure should be followed. 1. 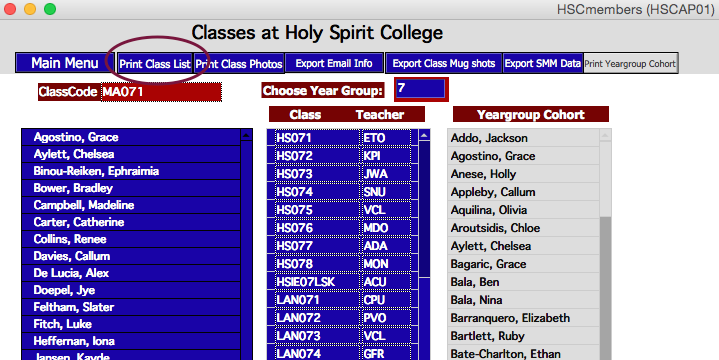 Download all the 2014 classes for a course from filemaker database 'HSCmembers'. 2. Open the file in the Excel application. The file should look like the image below. 3. You will need to follow the above steps for all the classes that correspond to the course you are working on and amalgamate all the classes into the one CSV file. 4. 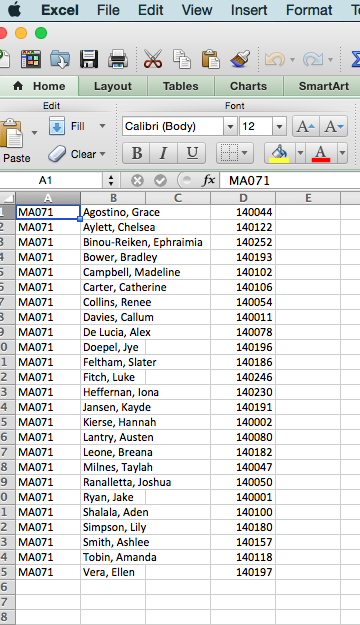 Manipulate this CSV file by placing the students in their new 2015 classes. See Margaret Smith if you are unsure of the 2015 Class codes to use. 5. 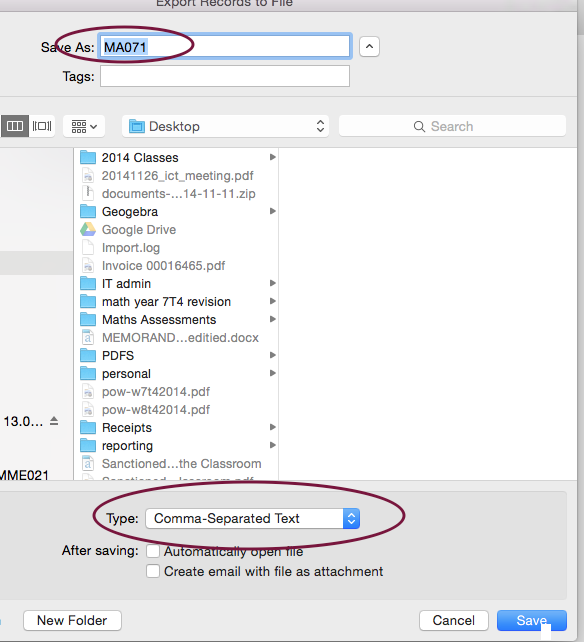 Once the CSV file accurately reflects the 2015 classes for the respective course email the file to Margaret Smith. 6. See MPE if you have any issues.